The past two weeks have been spent having vehicles inspected. Leon and Quincy were both put to the test; inside, outside, and inside out! As they are both previously-loved vehicles, we did find a few small items in need of updating, but that was expected. All in all, I have ended up with two very fine rigs which now comprise my “Wheel Estate.” I am in the process of establishing Tennessee as my new State of Domicile. The inspection for Quincy was amazing. RV Inspection is the company that I contracted with at the last seminar I attended in Heber Springs…they are closely tied to Workamper News, Inc. Quincy’s health checkup started before 9 a.m., and the inspector and I parted company at 7:30 p.m. Every nook and crannie, every dimple, every squeak, and every inch of my rig was examined and documented. The only issue we had was being unable to thoroughly check any of the water systems due to sub-freezing temperatures the night before and day of the inspection. The RV company where Quincy is parked is doing their own inspection and will include all water systems. Four days after the inspection, a ninety-page report in full color details arrived at my sister’s home. (I had received it electronically two day previous.) The gentleman who performed the inspection was beyond meticulous, and I am very grateful for the peace of mind provided by this superb company. 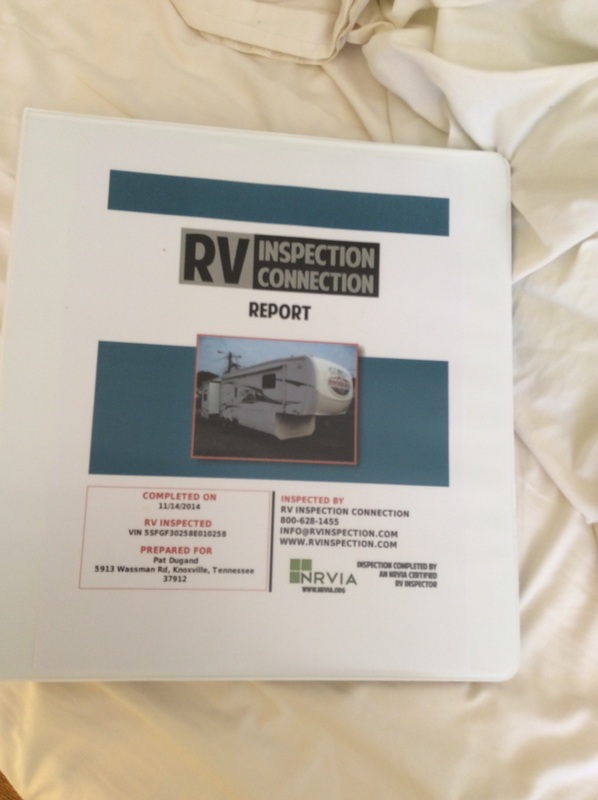 Needless to say, I recommend them to anyone who desires full confidence that they will get exactly what they want and need in an RV inspection. http://www.rvinspectionconnection.com or info@rvinspection.com. Check ‘me out! Previous Previous post: and now, introducing Leon!